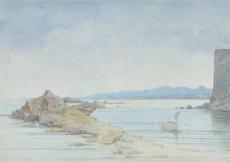 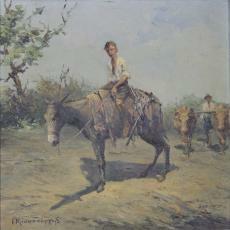 Kissonerghis’ key themes included landscapes and scenes of everyday life, especially of farmers. 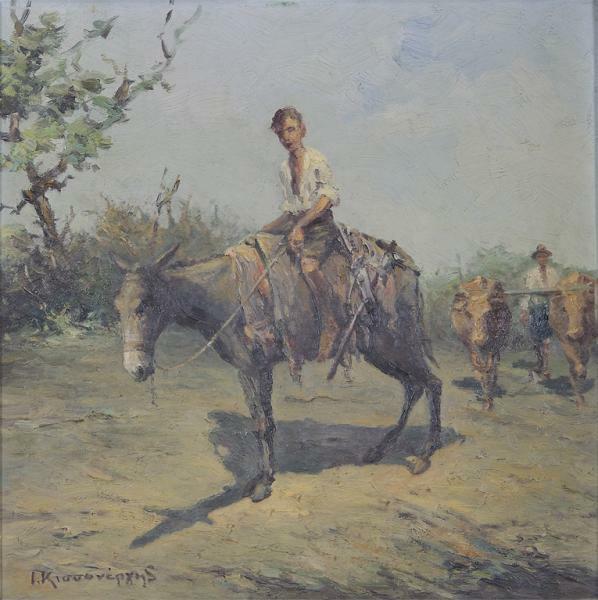 Although he was born in Nicosia and remained there for his whole life, he had a close relationship with the countryside and especially with his wife’s village, Rizokarpaso. 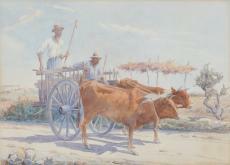 For this reason, many of his pieces feature the landscape, the buildings, the traditional dress and the everyday activities of the Karpasia area, where Rizokarpaso is located. 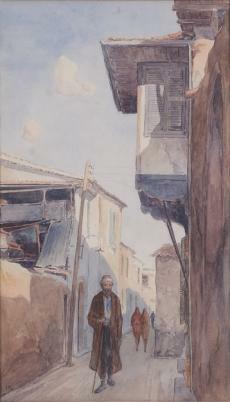 His choice of themes was partly affected by the preferences of the main buyers of his work ; the bourgeois class and foreigners- mainly English- visitors or residents of Cyprus, that wanted a souvenir of the places, sights and lives of Cypriots.